Branagh's film is firmly in the tradition of the absurdly over-cast ensemble films of the past - Sidney Lumet's 1974 version starring Albert Finney and Lauren Bacall - and the 2010 David Suchet version with Jessica Chastain and Toby Jones. 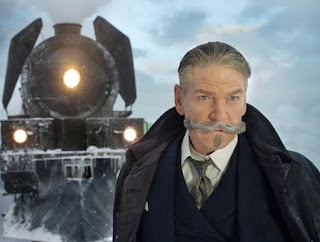 This version stars Branagh with a quite magnificent moustache as Poirot; Jonny Depp well cast as a nasty criminal called Ratchett; Dame Judi Dench as the Princess Dragimirov; Daisy Ridley Penelope Cruz; Josh Gad and many others. For me the two actors who really stood out were Willem Dafoe and Michelle Pfeiffer - but I can't tell you why without ruining character reveals and plot twists! Behind the lens, what I really appreciate about Branagh's film is its attempt to break free of the claustrophobic train carriage and inject a little action to events. It's also admirable for injecting some colour, recreating Colonel Arbuthnot as a black Doctor - played by Lamar Odom Jr - but rather than just superficially imposing something anachronistic, it's clear that a lot of research went into making it as organic and credible as possible. Racism was explored in a way that didn't derail (excuse the pun) the plot, but enhanced the character motivations and actions. Kudos to the writer, Michael Green (BLADE RUNNER 2049), for working this in so successfully. Green also writes an off-book prologue set in Jerusalem, that sets Poirot's bona fides for a new generation of viewers who may not be familiar with the iconic but 90 year old fictional creation: it quickly and amusingly tells us that Poirot is very clever, deeply obsessive, internationally respected, but rigid in his belief in the stark different between right and wrong. Kudos also to DP Haris Zambarloukos who shot the beautiful establishing shots in Jerusalem and Istanbul as well as producing some elegant through glass distortion shots on the train that emphasise the characters lies. Although we didn't watch the film on a screen big enough to appreciate the 70mm the colour and light in this film no doubt look quite spectacular when viewed in the appropriate manner. 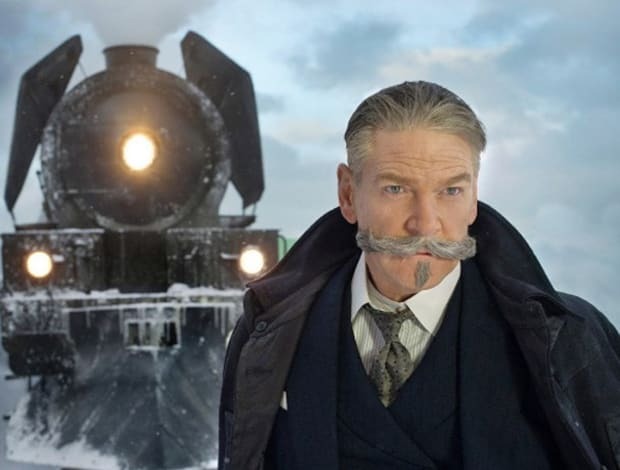 MURDER ON THE ORIENT EXPRESS (2017) goes on release in the UK and Cambodia on Nov 3rd; in Argentina, Australia, Switzerland, Chile, Greece, Hong Kong, Hungary, Netherlands, New Zealand, Thailand, Bulgaria, Turkey, Taiwan and the USA on November 10th; in Philippines, Brazil, Germany, Denmark, Spain, Lithuania, Poland and Sweden on November 24th; in Singapore on November 30th; in Japan on December 8th; and in France and Italy on December 13th.